You may be surprised to learn that a Japanese website says ice cream is the perfect morning jolt. International Business Times links to the website, which says eating ice cream can improve alertness and mental performance. It also says ice cream improves reaction times and reduces mental irritation. Before you start replacing your Cheerio's with Ben & Jerry's, consider this article from Business Insider, which explains how the Japanese study went viral on English-language media. The Japanese website that originally popularized the study mentioned the it was supported by a sweets company. Worse, the Japanese website does not link directly to the study itself, making it impossible to fact check. 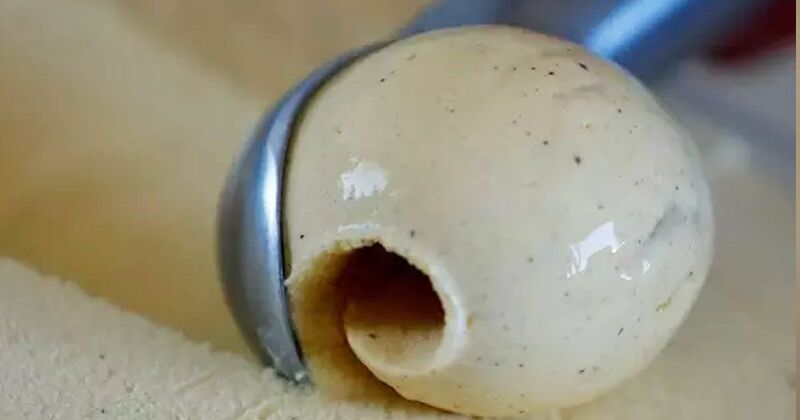 Homemade ice cream is made from egg yolks, sugar, whole milk, and heavy cream, according to theKitchn. Conventional ice cream, like Ben & Jerry's, has other such ingredients as soybean oil, corn syrup, and pectin. One serving of Ben & Jerry's contains 260 calories, 23 grams of sugar, and 14 grams of fat. That's hardly the picture of health. In comparison, a serving of Cheerio's with whole milk has the same amount of calories, but only 1 gram of sugar and 2 grams of fat, says My Fitness Pal. While Cheerio's isn't the most nutritious breakfast option, if you like a bowl of dairy for breakfast, a low sugar cereal with organic milk is a whole lot better than ice cream. According to Harvard Medical School, a diet high in sugar increases the risk of heart disease. You may think this is only true of people who are overweight, but in fact, sugar is equally as dangerous for people of a healthy weight. The American Heart Association recommends women consume less than 100 calories of sugar per day and men consume less than 150. Considering there are 4 calories in 1 gram of sugar, a single serving of ice cream contains nearly 100 percent the recommended total amount of sugar. Clearly, ice cream for breakfast is a less than ideal choice. Sugar is not only bad for the heart, it is also food for cancer. Beat Cancer explains cancer cells are fueled by sugar. Sugar suppresses the immune system and creates an acidic environment, in which cancer thrives. It is directly related to cancer in the breast, prostate, endometrium, and pancreas. Sugar also causes obesity, which is linked to cancers of the esophagus, pancreas kidney, gallbladder, breast, and colon. As attractive as the headline may be, we urge you to select healthier breakfast options. Spread the truth when you SHARE this article on social media.